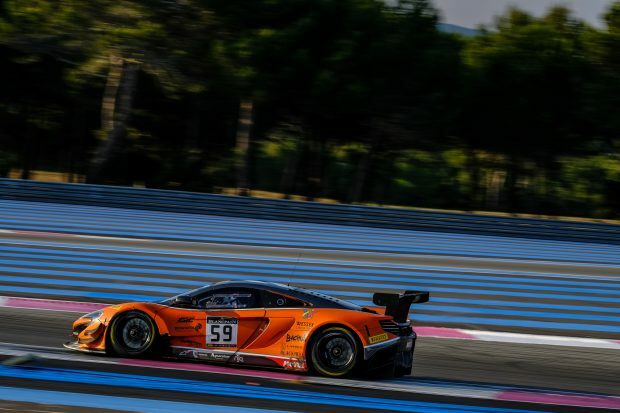 The third round of the Blancpain Endurance Series at Paul Ricard didn’t produce the result that Jazeman Jaafar wanted, with a clutch issue with 30 minutes remaining of the six hour race, forcing retirement for the #59 Strakka Racing McLaren 650S GT3. Jazeman joined Andrew Watson and Dean Stoneman to share the #59 McLaren in France. The first practice sessions saw the trio well down the order but their confidence rose in qualifying 1 with seventh quickest lap of the session, but fell again in Q2 and Q3 with times much further back down the grid, leaving the car starting on the 18th row of the grid, with the other three Strakka Racing McLarens also struggling for pace in qualifying. Andrew took the start for the race and gained four places by the end of the first lap. He continued to steadily improve his position as the race settled, pitting for fuel on lap 16 in 28th position. Jazeman’s first stint behind the wheel was at dusk, one of the most challenging conditions to drive in, with the sun low and the changing light. He continued on from Andrew’s efforts, further improving track position for the #59 before handing over to Dean. Over the course of the race the car reached 13th position, but then clutch issues hampered any further progress, with the car finally having to retire with only 20 minutes of the race left to run. Jazeman will be back on track for the highlight of the Blancpain calendar, the 24 Hours of Spa. Prior to this, he’ll be preparing with track running at the official test day on 4th July.